So instead of bagging the performance, they let Noel—who’d sang all the songs in rehearsal anyway—front Oasis. Noel diplomatically told the crowd a “sore throat” was to blame for Liam’s absence, though it was hard fathom then why he was boozing and smoking while jeering his bandmates from the nosebleeds during the show. The evening’s events would be a harbinger of more erratic behavior from Liam, including not a week later when he decided he’d rather house hunt with his then wife Patty Kensit than take part in the band’s 13-day U.S. tour. 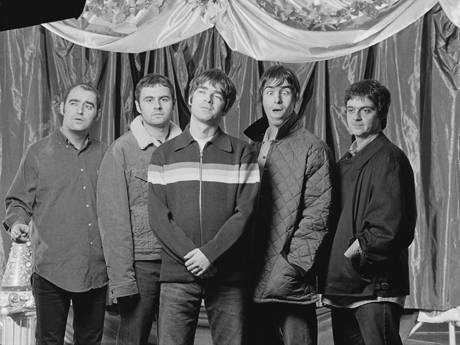 Presumably the press’s skewering of Liam’s selfish decision forced an about face, and he was on stage with Oasis in Chicago four days after Oasis unplugged without him. Noel killed it at the MTV Unplugged – and the songs were much better without all of Liam’s “I’m a Rock Star” posturing nonsense. Remember it well…think that was the night everyone realised, if anyone was in any doubt, who the teal talent was in the band.